Ladies – have you registered yet ? Our ladies softball cricket festival is on the green on Friday 31 August from 5:30 to 8:30 pm. The festival is aimed at ladies who may never have played cricket before and who are keen to just have a go. 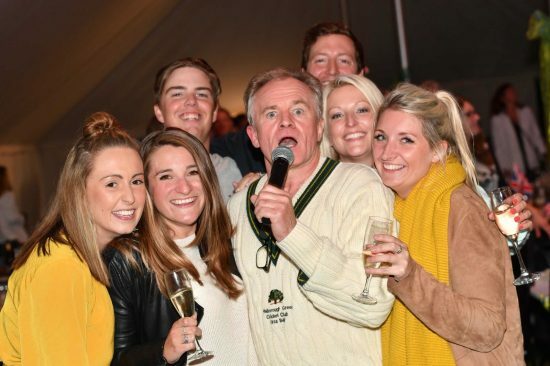 The festival will be run by Sussex Cricket and the aim is to just have fun. Participants will be divided into teams on the day and there will be a number of pairs cricket games played with a softball. 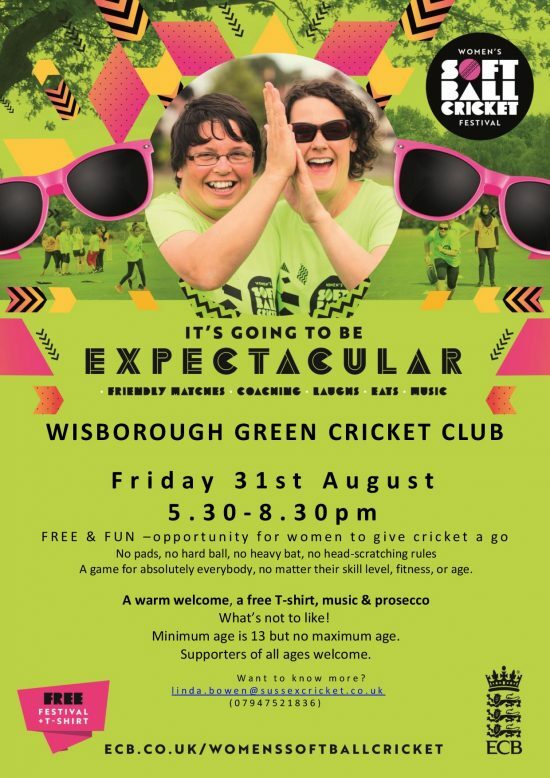 The festival is being advertised widely by Sussex and the ECB and it would be great to see the Wisborough mums and girls age 12 and above participating in the event. Hope to see you there ladies ! Great stuff and well done Peter ! 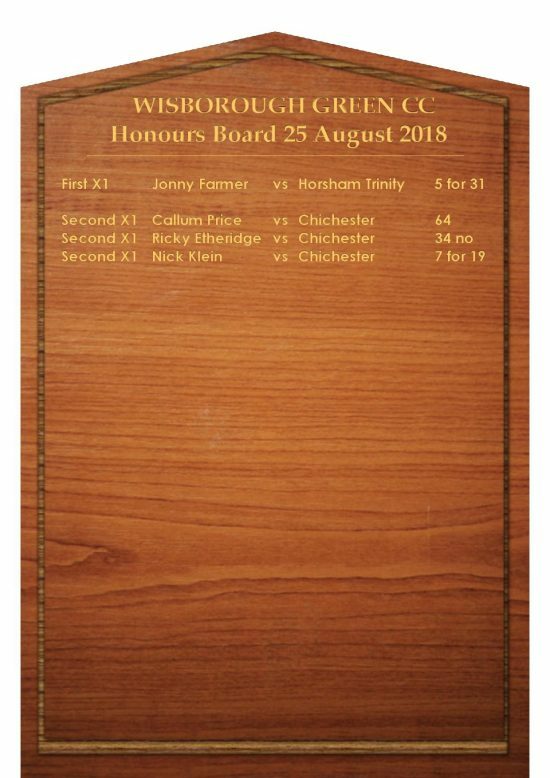 The Sussex Cricket league produce an Honours Board every week which highlights the best performances from the over 100 games played across the league . It takes the league a week or so to produce the board and this week’s board covers matches played between 16 and 22 Aug . Good to see James Rainford’s 6 for 26 against West Wittering on the board this week. Click here to view the board. Well done James ! Last week Hugo March, Leon Kilford and Callum Price played for Southwater in the Sussex Under 16 festival week – see great report and feedback from the coach below . 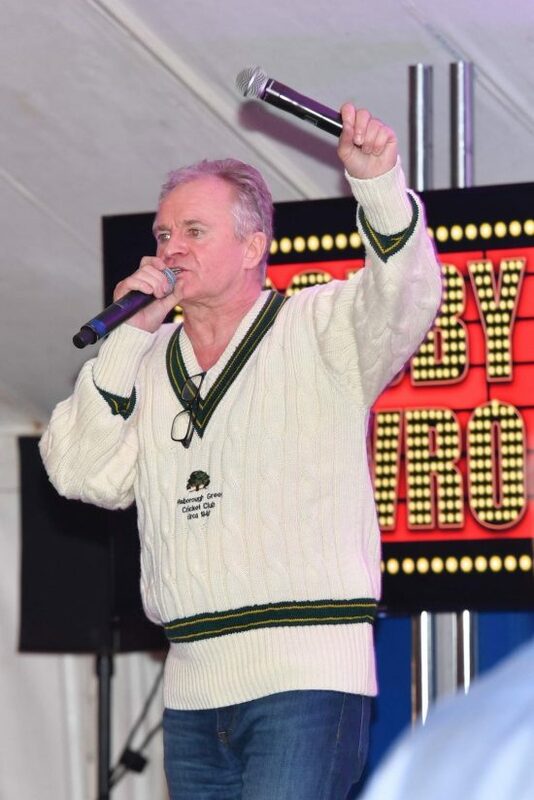 ‘Just wanted to say well done all on a great week of cricket. We had 4 great games against good opposition, with 2 outstanding victories, particularly yesterdays. This was proper Festival cricket. Thanks to Lesley Price , David, Wes and Gary for their help. Well done to all players who played this week, no matter how old you were, how small you were. It was a great team effort. 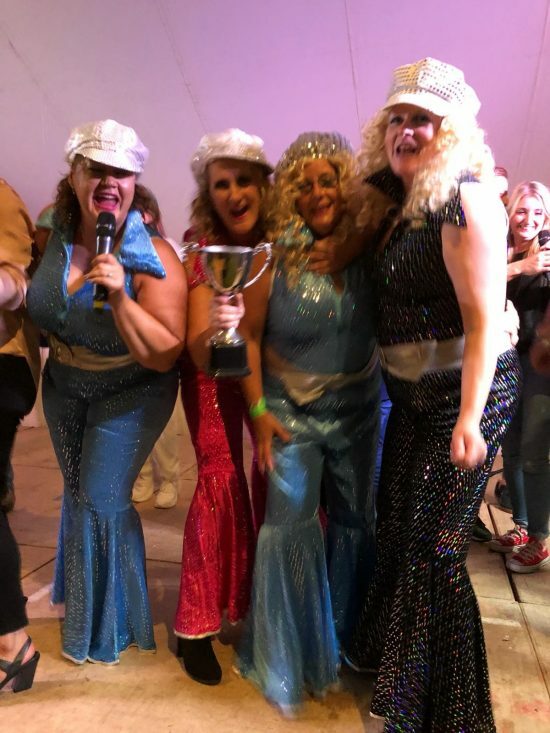 Special mention goes to the ” Wisborough 3 “. Great ability, attitude and nice guys to have around. This Sunday 2 Sept is the annual Balloon Festival on the Green. The balloons are scheduled to go off in the morning from 6:30-7:30 and in the evening from 5pm onwards weather permitting of course. Always a spectacular sight – not to be missed. 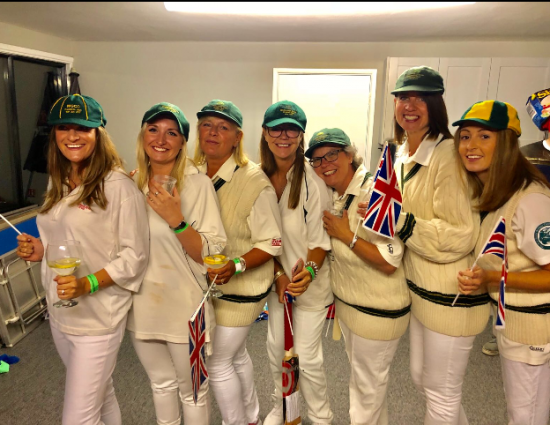 Our Stoolballers are having a Stoolball tournament on the Green on Sunday 23 Sept from 10 am . The invite is open to all – male, female, or mixed teams from age 13 upwards to just come and have a go. The fee to play is £16 per team of 8 (£2 each player). There will be bacon sandwiches, bbq and a raffle with the chance to win £50 for a £1 bet. What a night !! Massive thanks to Steve Calder Smith and Chris Marshall who made it all happen . See some pics below of a memorable evening. 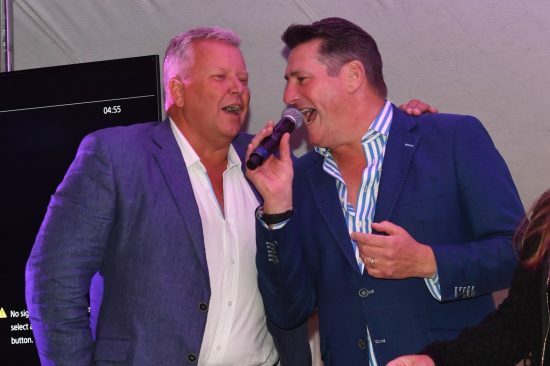 First X1 Skipper James Sadler and Tony Hadley wooing the crowds. In case you’re wondering who Tony Hadley is . This may help … click here . 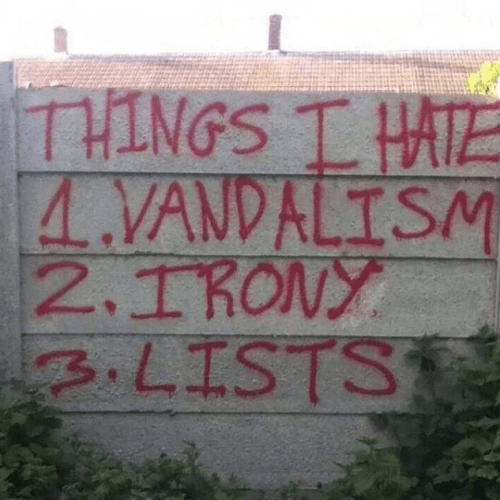 Pure Gold ! 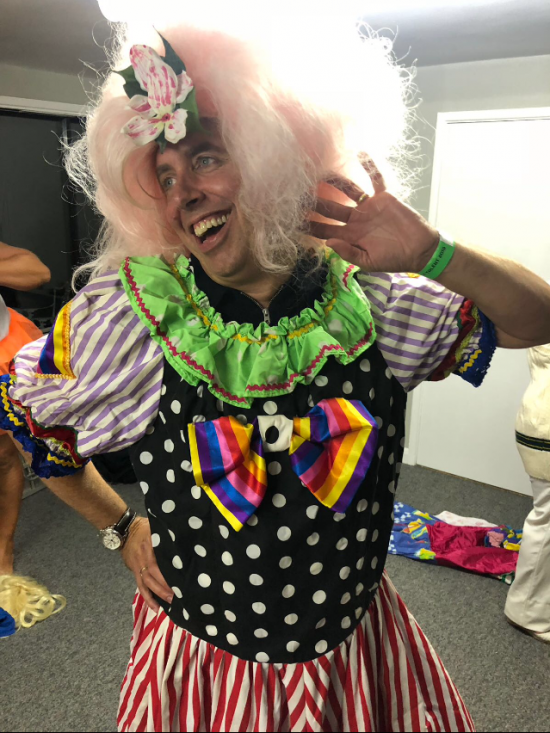 Mikey Boast getting into the swing of things …. 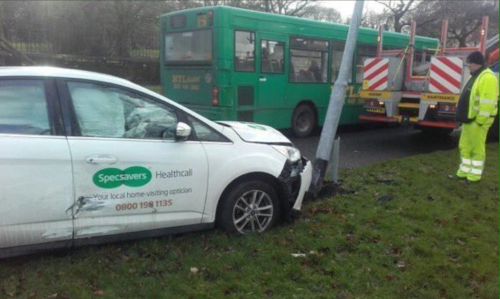 Should have gone ………….………………………. a bit slower ? Missed a previous edition of Wizzy News ? Horsham Trinity, who started the day two points above the relegation places, were the visitors to the Green on Saturday, for the penultimate match of the season. 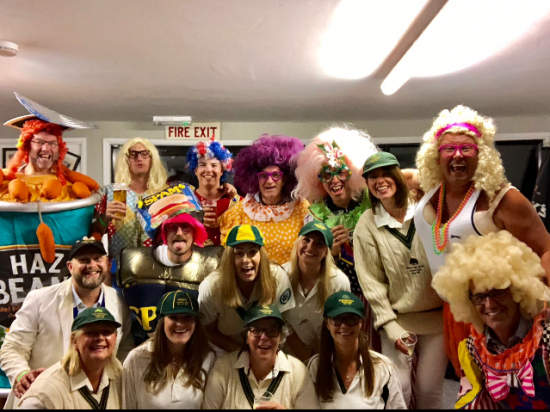 With seven of our team having attended the superb club Race Night the evening before, there were still some rather fragile heads at Saturday lunch-time, but the match was sure to be keenly contested, not least after a spicy encounter in June. 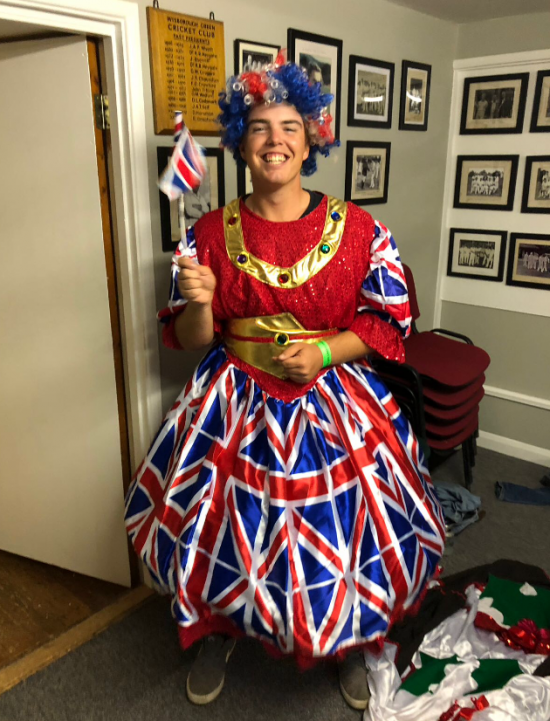 Skipper Jim Sadler returned and, for only the fourth time all season, we lost the toss; unsurprisingly, given what looked potentially looked likely to be tricky batting conditions, we were inserted. Although certainly not easy to bat on, especially by Wisborough standards, the pitch did not play as badly as the two totals would later suggest. After the start of the match was delayed due to a pile of dog faeces near the bowler’s run-up, amusingly prompting some of the opposition to comment that they were used to this sort of occurrence, we lost our first wicket without a run on the board, Hughie Ragg trapped l.b.w. by Josh Bailey, with the last ball of the second over. Mark Day survived a vociferous shout for l.b.w first ball against Jack Gold, who bowled at a lively pace from the top end, the ball deemed to be just missing leg stump. He had another close call in Gold’s next over, inside edging him over the stumps to the boundary, and was then dropped off a tough chance to cover off Bailey, but later struck the latter for three off-side boundaries in an over. However, he was dismissed in the following over, for 21, edging Gold to Trinity skipper Ben Chappells at slip. Without addition to the total, D.J. Dominique was then run out in strange fashion, non-striker Alan Law having turned his back, not realising that the ball, left by D.J, had been parried by ‘keeper Elliot Stanbridge and that an easy single was available. D.J., having gone a considerable way down the track before turning, dived hard to try to beat Worsley’s throw to Stanbridge, but was narrowly out, his bat in the air as the bails were removed, although D.J. clearly didn’t agree with my decision. 32 for 3 in the 10th over. Alan Law, not happy with how he had batted against West Wittering, looked in much sharper nick this time. As is often the case, he began quickly, hitting his first ball to the mid-wicket boundary and cutting another boundary later in the over. Later he played two lovely extra-cover drives against the tidy left-arm spinner Darren McDonald. The skipper also started promisingly but, having made 11, was splendidly caught just inside the boundary at deep mid-wicket by Jack Gold, off the bowling of slow medium Tim Street, the fielder just managing to keep his feet inside the boundary as he moved to his left to complete the catch. After a quiet passage of play, Alan was then adjudged l.b.w to Street. His innings of 29 was to be our top score; remarkably, the 38 balls he received made this the longest innings of the match. 77 for 5. Jamie Self, having been dropped at mid-on on 0, played a circumspect innings, never looking to be settled. Having made 9 in 11 overs, he became the only victim for the unfortunate McDonald, driving him to Smallwood at extra-cover. McDonald finished with 1 for 23 from 9 overs, only 11 scored from his final 6. Trinity’s six-man attack bowled consistently well and looked considerably stronger than their batting. The lively Joe Cox, surprisingly not introduced until the 30th over, claimed the next wicket in his second, trapping James Rainford l.b.w. 96 for 6 with 8 overs remaining. Tim Dodd made a useful contribution, featuring two memorable strokes punched off the back foot to the extra-cover boundary. 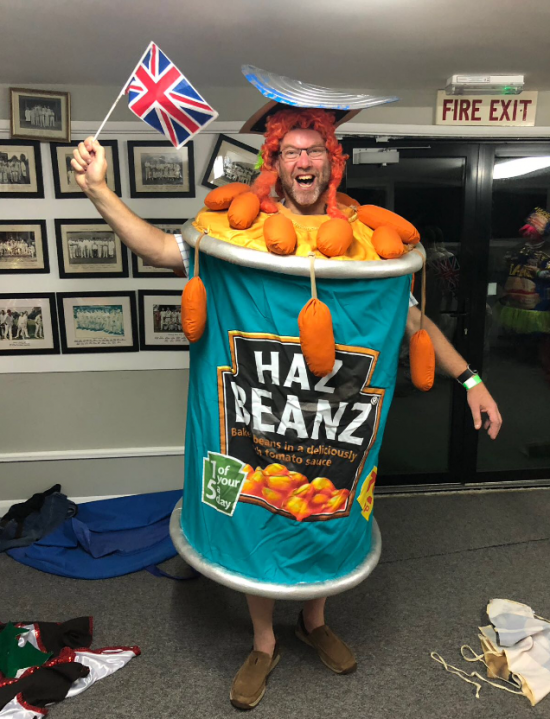 However, in the 36th over, he missed another attempted drive and was bowled for 22, bowler Bailey giving him an unnecessarily aggressive send-off, which did not go unnoticed by the home side. We were only able to add another 5 runs to the total, Jacob Ball bowled by Jack Gold then, after Hugo March had been dropped by Chappells at mid-off, Jonny Farmer, who had made a sensible 11, caught at mid-off from the last ball of the final over, giving Bailey final figures of 3 for 22. Again, there was a particularly loud celebration of the wicket, this time especially by ‘keeper Stanbridge. We were 120 all out, the lowest total in a home fixture this season. Although chasing a modest total, Trinity seemed rather edgy at tea. Their reply nearly began in the most dramatic fashion imaginable, Stanbridge edging the first ball, from in-form James Rainford, to D.J. at second slip, but he was unable to hold on. Unperturbed, James and Hugo restricted the scoring to a single in the first three overs, before two boundaries, a straight-drive from Stanbridge off Hugo and a pull from Chappells off James, got the scoreboard moving. The partnership was broken in the eighth over, Hugo taking the crucial wicket of Chappells, the leading run-scorer in the league before this match, the Trinity skipper adjudged l.b.w. although, viewed from square-leg, there looked to be evidence to support his assertion that he had hit the ball. Four overs later, Hugo bowled Stanbridge, who had battled hard but had never suggested longevity. 27 for 2. The match continued to ebb and flow in an absorbing manner. James again bowled at a lively pace, this time with no reward in his first seven overs; when Jack Gold pulled him for six in the last of these, he may have thought it was not to be his day. However, he hit the stumps twice in his final two overs, dismissing Worsley, an unconvincing Number 3, and Gold, both deceived by balls that kept lower than anticipated. He almost struck again, but ‘keeper Jacob Ball was unable to hold onto an edge from John Kimberley’s first ball, a tricky chance, as a fine ball shaped in before moving away. It was immediately clear that the left-handed Joe Smallwood was going to play in aggressive, unorthodox fashion. On 7, he was dropped by Hughie Ragg at extra-cover off Jamie Self, the catch seeming to have been held before the ball agonisingly fell to the turf. In the following over Jonny Farmer entered the attack, for what was to be a match-winning spell. His first delivery swung away from Smallwood, to beat another carefree stroke, hitting his off stump. The bowler celebrated in untypically nonchalant style, but was much more excitable three balls later, when Bailey was caught by James Rainford at mid-on. 65 for 6 in the 19th over. Nine runs later Kimberley, who had moved fluently to 14, was adjudged l.b.w. to Jamie, although the ball had struck him high on the pad. 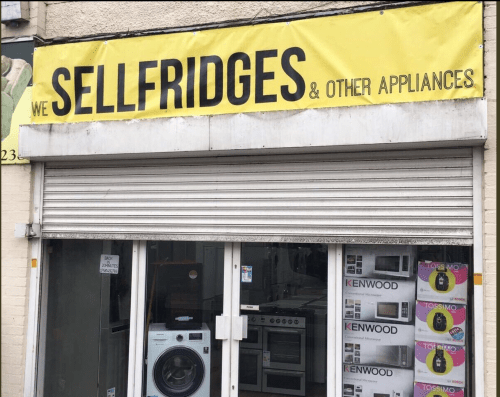 Remarkably, this was the fifth l.b.w. of the match awarded by my colleague, Tom Hogsflesh. At this point, we seemed to be closing in on victory, but Cox and McDonald were to change the complexion of the match in an eighth wicket stand of 30, made in only 5 overs. 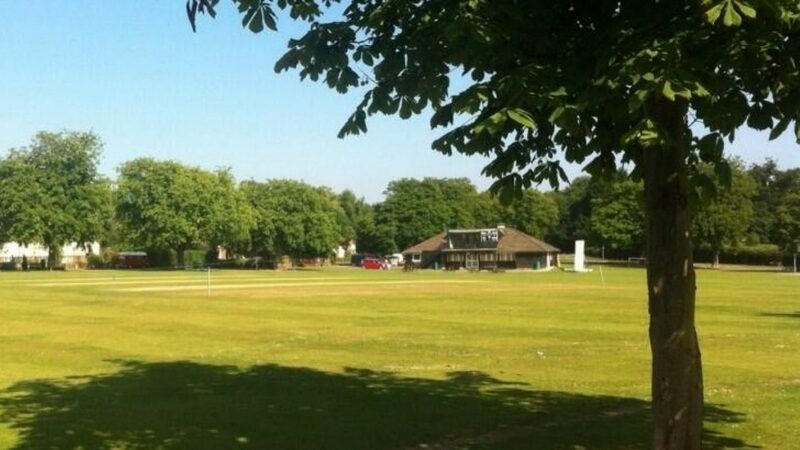 After beginning with two maidens, Jonny conceded 24 runs from his next three overs, McDonald striking him over the sightscreen, in the third of these, to take Trinity into three figures. Crucially, though, from the last ball of this over Jonny dismissed Cox, a tentative stab at a ball pitched on leg stump resulting in a leading edge gleefully held by the bowler. 102 for 8, 19 runs required for victory with a, by now, irrelevant 13 overs remaining. With the tension rapidly mounting, Number 10 Tim Street edged Jamie to the third-man boundary, before McDonald launched Jonny for another six, this time over wide long-on. Again, though, at a crucial moment Jonny delivered, Street thrusting his pad at a ball of full length to be palpably l.b.w. The batsman did not like the decision, unsurprising given the nature of the situation but, to his credit, shook hands without rancour a few minutes later. 114 for 9. At the start of the next over, bowled by Jamie, Jim Sadler placed all fielders on the boundary for McDonald. Deciding to run on the first ball, the batsmen were only able to scamper a single. 16 year-old Number 11 Ollie Berry survived the remainder of the over. The drama now increased, as skipper Chappells came onto the field to talk to both batsmen, under the pretence of bringing them a drink. His message may have been to ensure that McDonald faced as much of Jonny’s seventh over as possible, as this time singles were refused from the first two balls. From the third, McDonald (top-scorer in the match with a valiant 31) aimed a big drive over extra-cover but miscued. The ball skewed to deep cover, where Hughie Ragg held his nerve admirably to hold on to the winning catch. 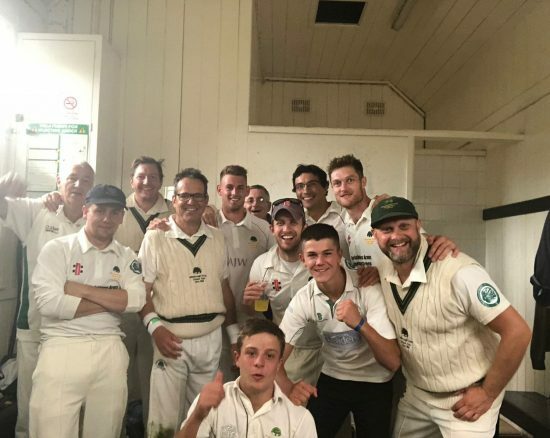 Trinity, all out for 115, had lost by a mere 5 runs and, following news that Steyning II’s renaissance had continued with a fourth successive victory, found themselves in the bottom two for the first time all season. Jonny had finished with 5 for 31, as was the case at Barns Green stepping up superbly in a very tight finish. The other three bowlers, especially James (2 for 32) and Hugo (2 for 14) deserve credit too. What a memorable final home match as skipper for Jim Sadler, who again marshalled his troops to victory under pressure. It continues to be a season full of close finishes; astonishingly, this was our fourth victory by a margin of 11 runs or fewer, this one the closest of the lot. With one match remaining, we sit at a very creditable fourth place in a competitive league. Victory at bottom-placed Eastergate on Saturday will secure this, with a slim chance of over-taking West Wittering in third.